Createspace Independent Publishing Platform, 9781507862117, 114pp. The possibilities for agony and defeat lurk everywhere for a writer - at the start of the process when a book idea is forming in your mind and doubt is pounding on the door; in the middle of the process when you begin to show your words to the world and fear gnaws at you like a disease; and at the end of the process when you hope your work will find an adoring audience and must come face to face with how much greed and envy have taken up residence in your heart. It can be a brutal business. 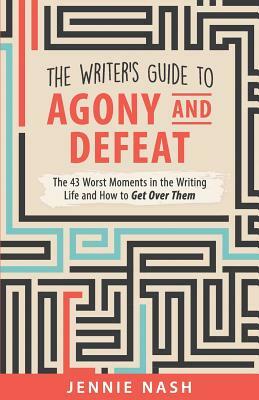 In The Writer's Guide to Agony and Defeat, book coach and author Jennie Nash takes you inside 43 of the worst moments in the writing life. The enlightenment gurus say that you should "feel what you feel" and this book is designed to help you feel the gut-wrenching misery of the writing life - and then get over it.